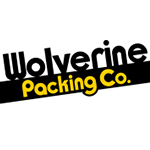 Wolverine Packing | Favorite Foods, Inc.
Born out of a meatpacking tradition that started in the Eastern Market of Detroit, Wolverine is now in its third generation of family ownership. What started in 1937 as a small lamb and veal packer, has turned into a full-faceted protein company with multiple plants producing ground beef items, steak cutting, value-added products, and still to this day, fresh lamb and veal. We attribute our growth to our valued customers and the employees at Wolverine that make it all work. The keys to our success lie in conservative business principles, integrity, and placing the customer first. 1930’s – Lamb and veal slaughter begins. 1960’s – Creation of our portion control division to make ground, battered, and breaded products to complement the slaughter facility. 1970 – Wolverine opens a beef breaking plant to supply primal cuts for retail and foodservice use. 1973 – Wolverine becomes the first lamb packer to use Cryo-vac technology to extend our reach. 1979 – The same Cryo-vac technology that expanded our reach in lamb also helped the Western beef packers to expand their reach Eastward, Wolverine closed the breaking facility and began a distribution business around vacuum-packed beef. 1990’s – The distribution business growth necessitated the construction of a new facility which expanded to pork and poultry. 1997 – To add value to our boxed beef, pork, and poultry business, we began a portion cut steak business in what used to be our swinging cattle room. 1998 – Our portion control plant launches vacuum-packed fresh ground beef patties for foodservice making about 15 different shapes and sizes. 2000 – After three additional expansions the plant now stands at 150,000 square feet of fresh and frozen space. 2003 – Our steak cutting facility expands into a new 24,000 square foot processing center along with a new freezer. The plant is the first in the U.S. to use computerized individual yield systems to manage quality, yield, and productivity in the cut steak business. 2007 – Wolverine adds seafood to its list of proteins in distribution which brings its product line to cover the entire meat and seafood aisle. 2012 – Completion of our second state-of-the-art automated ground beef plant. We now supply products to all 50 states and many foreign countries.